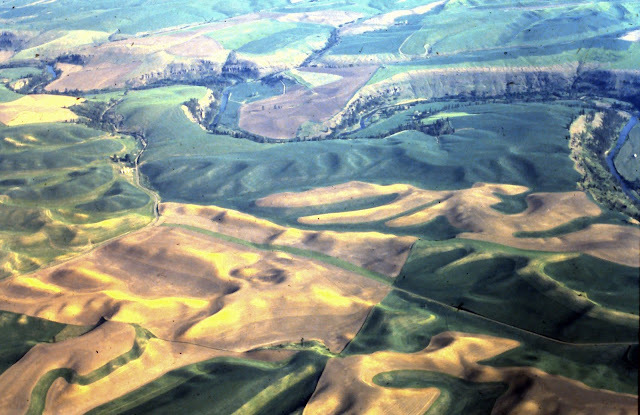 Have you ever wondered why they call them the "Rolling Hills" of the Palouse? Well, here's a bird's eye view of our family farm, just outside of Diamond,Washington that might give you a little perspective. That is the Palouse River meandering through the top half of the photo.